Struggling to define your style? 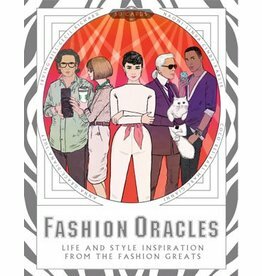 Coco Chanel, Karl Lagerfeld and a host of great fashion photographers, models and muses are here to help. Be guided and inspired by the gods of the music world with this creative set of oracle cards. Are you suffering from creative block? Struggling to make a difficult life decision? Find out what David Bowie, Grace Jones, Maria Callas and other great artists would have done. Simply select a card from the pack and channel the oracle’s advice on attitude, lifestyle or inspiration – any obstacle will become surmountable. 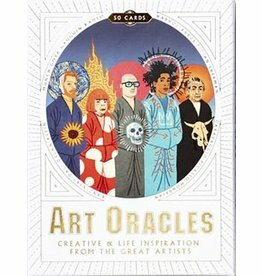 Contains 50 oracle cards plus a booklet featuring the artists’ biographies and details of how to use the cards. Stephen Ellcock is a London-based writer, researcher and former musician and bookseller who is creating the ultimate social-media cabinet of curiosities. Part artist, part graphic illustrator and part letterer, Timba Smits blends a distinct love of mid-century style with contemporary design aesthetics.